Just 20 minutes south of the Las Vegas Strip is the most beautiful desert art sculptures ever created... however I may be bias due to the fact it is the only desert art sculpture I've been to. 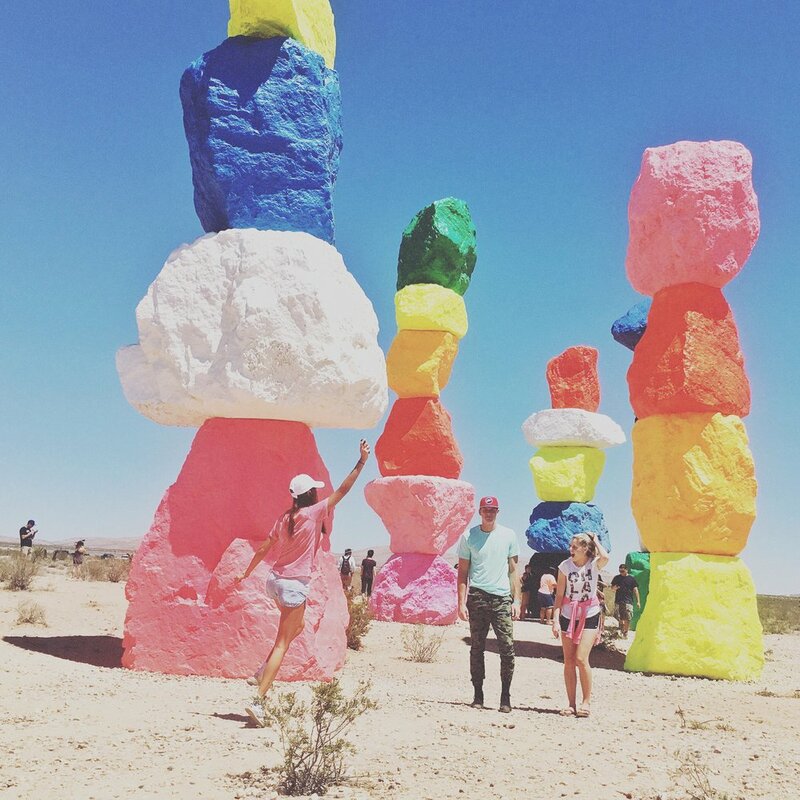 This place consists of seven colorful boulder pillars in neon colors. Think of a retro Stonehenge. It is free to the public. Definitely worth the detour from the city. I have yet to goo at night, or even dusk, but I'm sure the colors are spectacular!